Yesterday, Eric Lindros was inducted into the Hockey Hall of Fame — and deservedly so. If you look at Lindros’ entire body of work — from his days as a phenom in junior hockey, to competition on the international stage, to his eight years in Philadelphia — he belongs in the Hall. Sure, his productivity sharply declined at the end of his career, but the same could be said of many other Hall of Fame players. Lindros wasn’t just awesome in his prime; he was awesome from day one. Here we will take a look at the career, illustrated with some of his best hockey cards, of one of the Hockey Hall of Fame’s 2016 inductees. Lindros was an impact player from the beginning. In the 1988-89 season, he scored 24 goals and 43 assists in just 37 games with the Junior B St. Michael’s Buzzers. He also played for Team Canada in the World Junior Championships — as a 15-year old — scoring one goal in two games. Lindros was drafted first overall by the Sault Ste. Marie Greyhounds of the Ontario Hockey League, but his parents refused to let him play there. 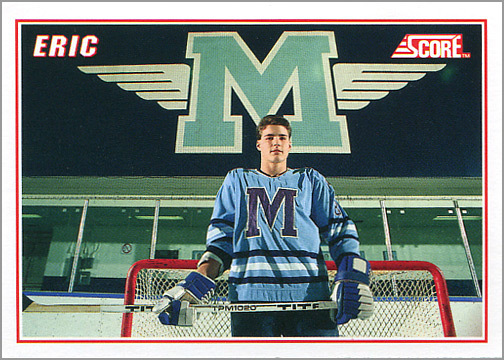 In the meantime, Lindros played for the Detroit Compuware Ambassadors, a step down in the NAHL, where he put up a jaw-dropping 24 goals and 25 assists in a mere 14 games. 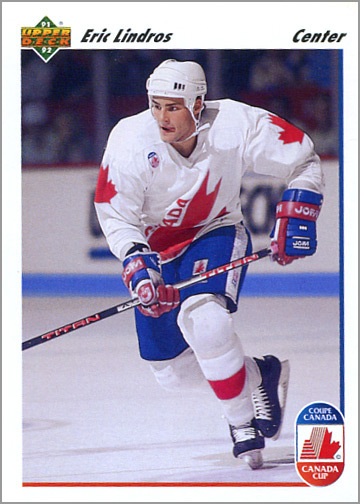 For a second time, Lindros represented Canada at the World Junior Championships, scoring four goals in seven games and helping Canada win the Gold medal. After that, his OHL rights were traded from Sault Ste. Marie to the Oshawa Generals, where he finished out the season. 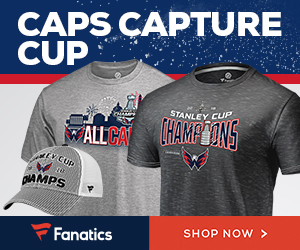 He scored 36 points (17 G, 19 A) in 25 regular season games. 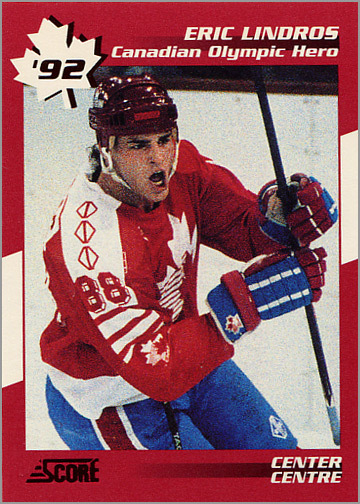 In the playoffs, Lindros led the Generals to an OHL Championship and a Memorial Cup Championship with 18 goals and 18 assists in 17 playoff games. 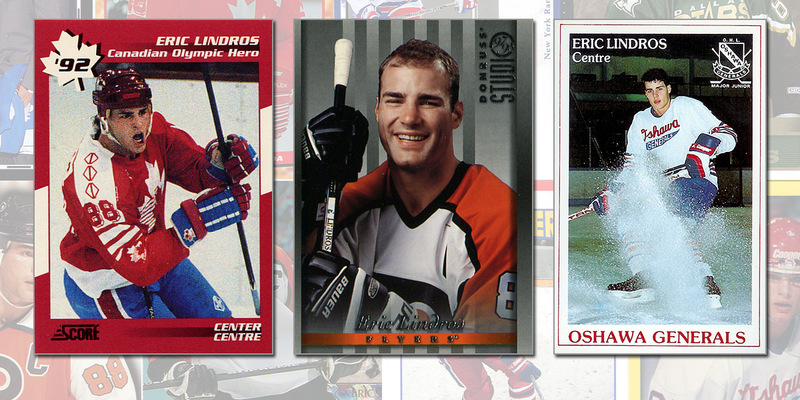 Trading card company Score signed Lindros to a hockey card endorsement deal. 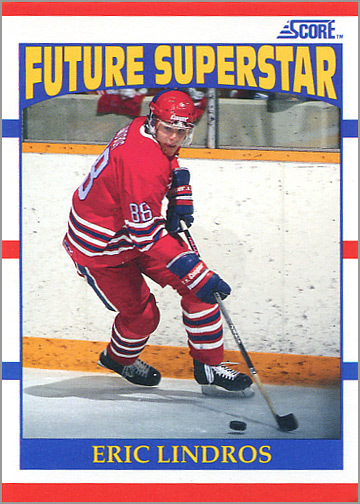 They issued what is considered his “rookie card” (above) which triumphantly exclaims “FUTURE SUPERSTAR” across the top of it. 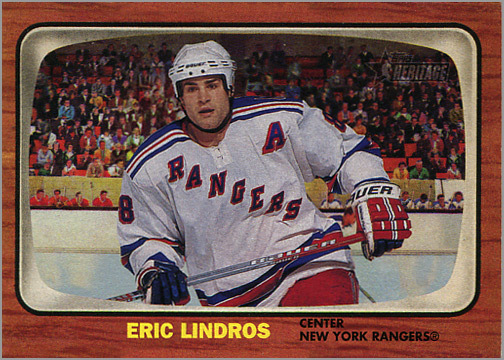 On the ice, Lindros Scored — get ready for this — 71 goals and 78 assists in only 57 games for the Generals. He also scored 18 goals and 20 assists in 16 playoff games. Not surprisingly, he led the OHL in scoring, and was also named an OHL First-Team All-Star, the OHL’s player of the year and the Canadian Hockey League’s player of the year. 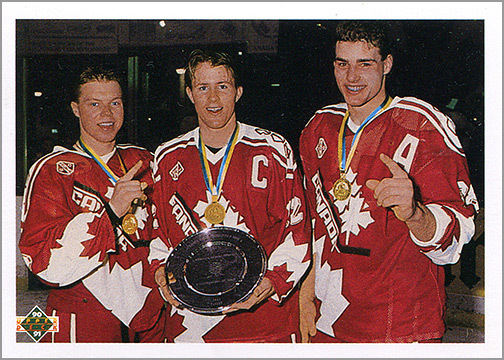 Internationally, Lindros played a third for Canada in the World Junior Championships, leading the team with six goals and 11 assists in seven games, and winning a second Gold medal. 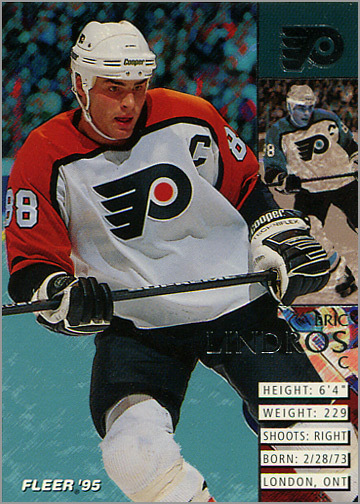 Lindros was also named to the tournament’s All-Star team. 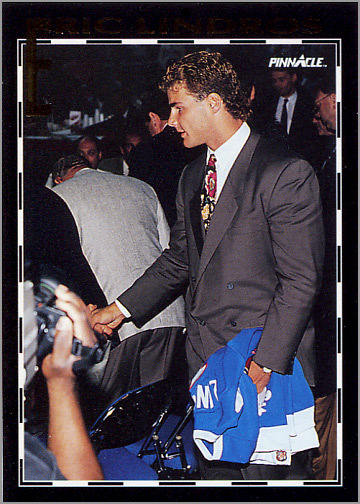 On June 22, 1991, Lindros was selected first overall by the Quebec Nordiques in the NHL Entry Draft. 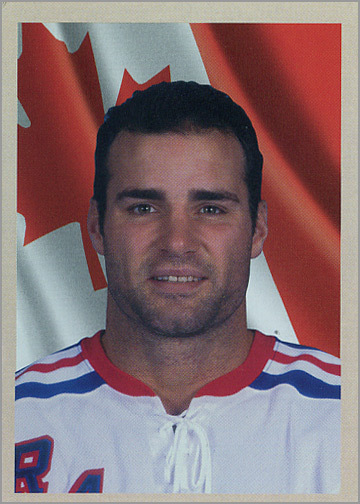 But Lindros refused to play for Quebec; he even refused to put on their jersey at the draft. Thus began a year-long holdout. Lindros’ pro career would be in limbo, but that didn’t slow him down. 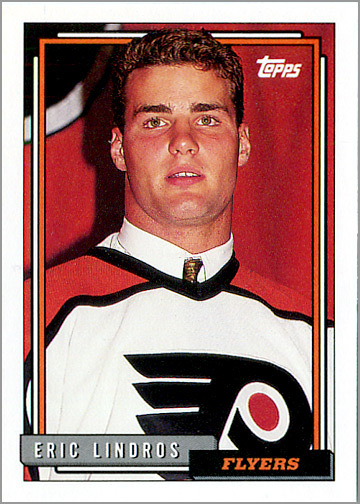 A few months after he was drafted first overall, Lindros was selected by head coach Mike Keenan to play for Canada in the 1991 Canada Cup Tournament. This was the first and only time a non-NHL player represented Canada in the tournament. Canada won the tournament, and Lindros proved that he was ready to play in the NHL; it would just have to be on his terms. 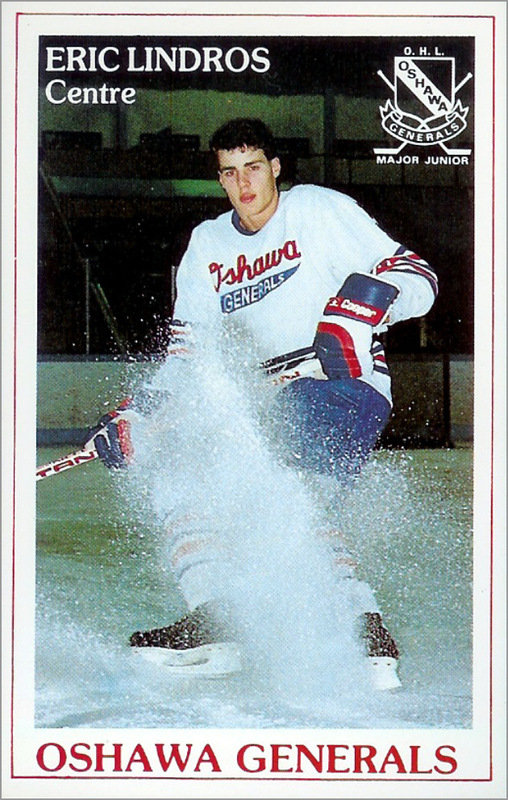 That fall, Lindros briefly re-joined the Oshawa Generals, scoring nine goals and 22 assists in 13 games. 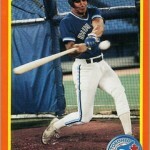 But he had already more than proven himself in major junior hockey. 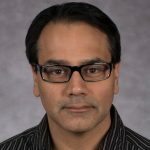 So he joined the Canadain National Team, which played together during the 1991-92 season in preparation for the 1992 Winter Olympics. Lindros scored 35 points (19 G, 16 A) in 24 games. 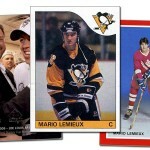 He also captained Canada’s team in the 1992 World Junior Championships. 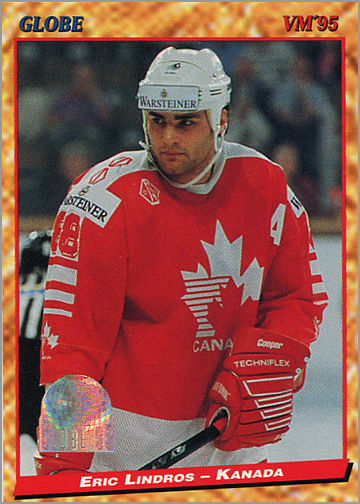 During the 1992 Winter Olympics, held in Albertville, France, Lindros helped Team Canada win the Silver medal, scoring five goals and six assists in eight games. 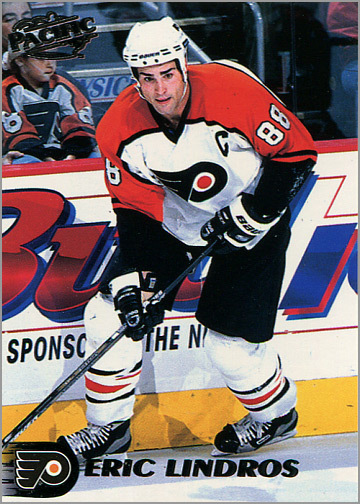 Lindros’ NHL rights were traded from the Nordiques to the Philadelphia Flyers on June 30, 1992. The Nordiques acquired Peter Forsberg, Ron Hextall, Mike Ricci, Kerry Huffman, Chris Simon, future considerations, a first round pick in the 1993 NHL draft, a first round pick in the 1994 NHL draft and $15 million dollars. 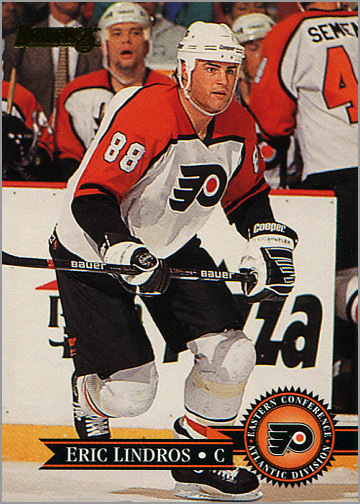 In exchange, the Flyers got Lindros, who did not disappoint during his rookie NHL season. He scored 41 goals and 34 assits for 75 points in 61 games, and was named to the NHL’s All-Rookie Team. The Flyers missed the playoffs, so Lindros was able to join Team Canada in the World Championships that spring. In his second NHL season, Lindros netted 44 goals and added 53 assists for 97 points in 65 games. 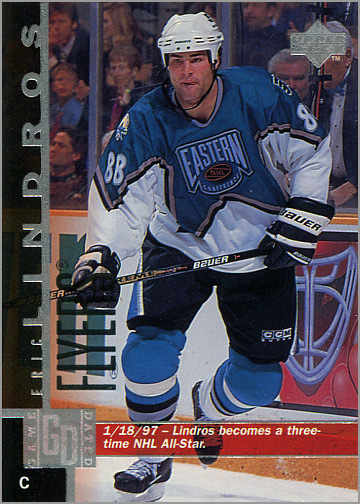 Lindros also played in his first NHL All-Star Game when he was voted by the fans as a starter for the Eastern Conference. Prior to the start of the 1994-95 season — half of which was cancelled due to the NHL lockout — Lindros was named the 11th team captain in Flyers’ history. 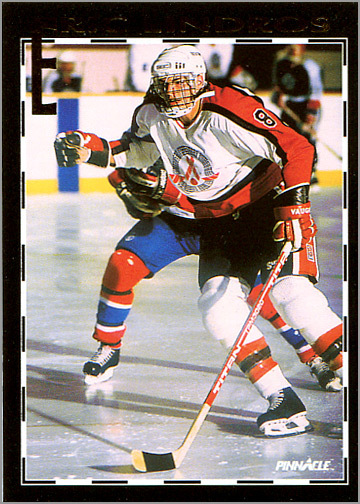 He was put on a line with John LeClair and Mikael Renberg to form the “Legion of Doom” line, which was the most-dominant forward line during the mid-1990s. That year, Lindros tallied 29 goals and 46 assists for 70 points in 46 games; the season was shortened to 48 regular-season games due to the lockout. He tied Jaromir Jagr in league scoring, but Jagr won the Art Ross Trophy because he scored 32 goals to Linros’ 29. Nonetheless, Lindros won the Hart Trophy as the NHL’s most valuable player, as well as the Pearson Trophy as the best NHL player, as voted by his peers. Lindros was also named a First-Team NHL All-Star. This season cemented his status as an NHL superstar. 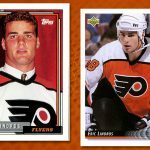 Lindros broke the 100-point platueau for the first and only time in his NHL career when he scored 47 goals and 68 assists for 115 points in 73 games. LeClair, as Lindros’ wingman on the “Legion of Doom” line netted 51 goals — his first of three consecutive seasons of scoring 50 or more goals. Lindros played in his second NHL All-Star Game, and at the end of the season was named to the NHL’s Second All-Star Team. 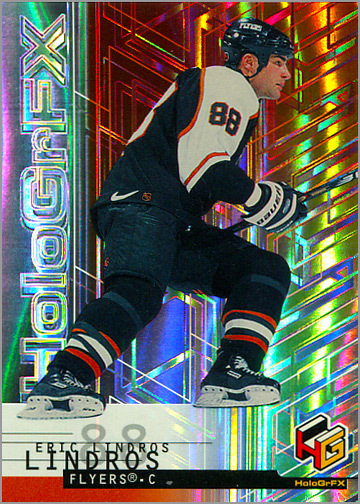 In the 1996 World Cup of Hockey, Lindros played for Team Canada, scoring six points (3 G, 3 A) in eight games. Team Canada finished second to the United States, who upset them in the tournament. 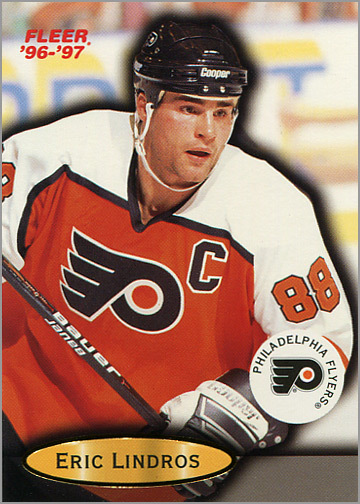 During the 1996-97 season, Lindros scored 32 goals and 47 assists for 79 points in 52 games. He also put up good numbers in the playoffs — 12 goals and 14 assists in 19 games — but the Flyers were swept in four games by the Detroit Red Wings in the Stanley Cup Finals. Lindros also appeared in the NHL All-Star Game for the third time in his career. Lindros would continue to score more than a point per game in his sixth season with the Flyers. He potted 30 goals and helped on 41 others for a total of 71 points in 63 games. He added another goal and two assists in five playoff games. He was also a starter in the 1998 NHL All-Star Game. 1998 was the first year that the NHL would allow its best players to compete in the Winter Olympic Games. Lindros was named Canada’s team captain, and scored two goals and three assists in five games. It was another monster season for “The Big E,” who reached the 40-goal plateau for the fourth time in his career. He added 54 assists for a total of 93 points in 71 games. Lindros played in his fourth NHL All-Star Game. Originally, Red Wings’ center Steve Yzerman was voted as the starter for the North American All-Star Team, but was injured, so Lindros was selected to replace him in the starting lineup. However, Lindros declined, so that Wayne Gretzky could be in the starting lineup for his final All-Star Game appearance. 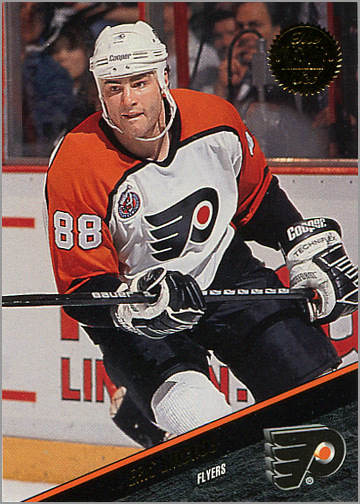 Lindros suffered three concussions during the 1999-2000 season — his last with the Flyers — but still scored 59 points (27 G, 32 A) in 55 games. He also scored one goal in two playoff games. Lindros made his fifth and final appearance in the NHL All-Star Game this year. During the offseason, Lindros became a restricted free agent. The Flyers tried to offer Lindros a two-way contract that would allow them to send him to the minors. He refused. 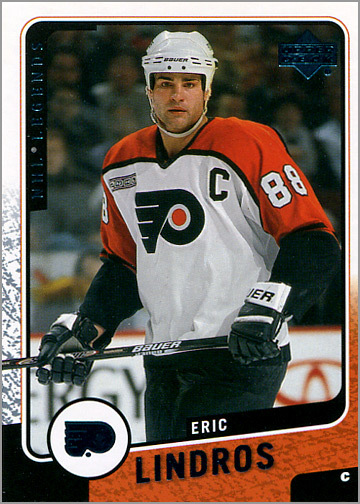 Unable to reach an agreement with the Flyers, Lindros sat out during the 2000-01 season. 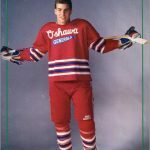 This would be the second time — his first was the 1991-92 season, when he refused to play for Quebec — that Lindros would sit out an entire NHL season due to a contract dispute. Flyers’ GM Bobby Clarke finally traded Lindros prior to the start of the 2001-02 season. 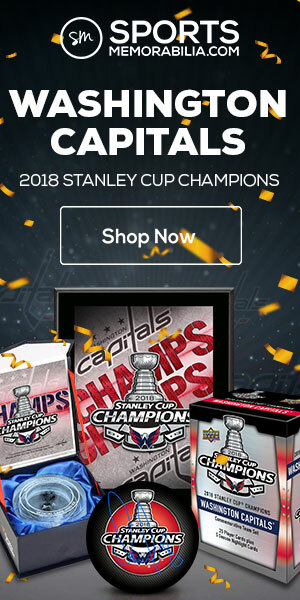 He sent his franchise player, along with a conditional draft pick to the New York Rangers for Jan Hlavac, Kim Johnsson, Pavl Brendl and a third round pick in the 2003 NHL Entry Draft. 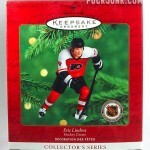 This was Lindros’ last year as a superstar, as he scored 37 goals and 36 assists for 73 points in 72 games. He was selected to play in the 2002 NHL All-Star Game, but could not because of injuries. He also represented Canada at the 2002 Winter Olympics, scoring one goal in six games and winning a gold medal. 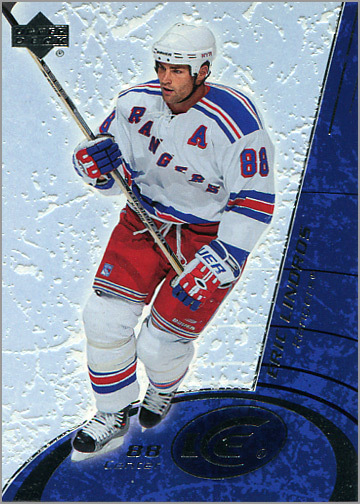 In 81 games, Lindros scored 19 goals and 34 assists for 53 points in 81 games — a sharp decline from the previews season. 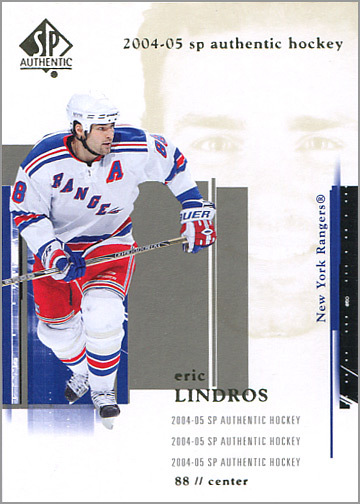 In his last season in New York, which was severely shortened by the eighth concussion of his career, Lindros scored 10 goals and 22 assists for 32 points in 39 games. While other NHL players headed to Europe during the 2004-05 NHL Lockout, Lindros sat out during the season. This was the second time an NHL labor dispute would cut into his career, and the third full season during his career that he didn’t play in the NHL. 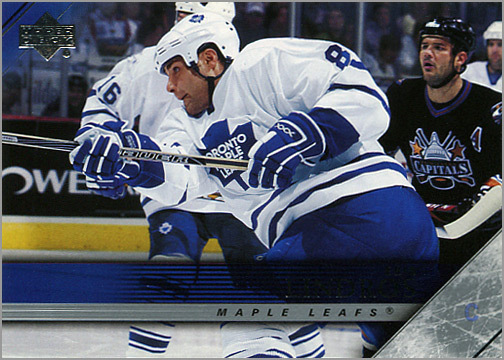 Lindros signed as a free agent with the Toronto Maple Leafs for the 2005-06 season. However, two wrist injuries limited him to 33 games, where he scored 11 goals and 11 assists. 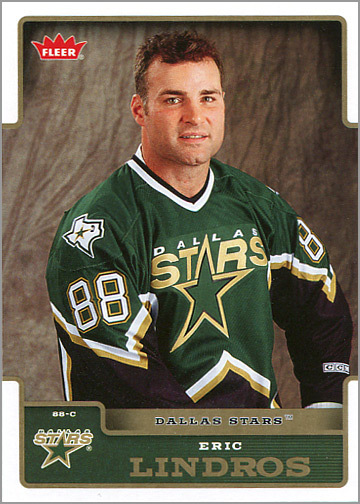 In his final NHL season, Lindros played 49 games for the Dallas Stars, scoring five goals and 21 assists. Lindros announced his retirement on November 8, 2007. 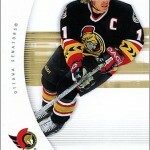 In 760 NHL games, he scored 372 goals and 493 assists for a total of 865 points. Overall, he scored at a rate of 1.14 points-per-game. Really enjoy these posts Sal. This one in particular is terrific. Thanks for investing the time. Brett, thank you for reading — and for your compliment.